Robot is an automated machine which was booming only in science fiction stories and movies till 1950’s. Even the name ‘Robot’ was first used for characters of artificial creatures in a stage drama directed by Karel Capek in 1920. Isaac Asimov, a well-known writer, has written three famous laws only during the period of science fiction era. So, when did the first robot came into action? What kind of robot it was? Where it was used? Who was the founder of it? Answers on the way! Joseph Engelberger was born on July 26, 1925 in New York City, US and he was an American physicist, entrepreneur, and engineer. He partnered with an inventor George Devol for setting up the world’s first robotics manufacturing company “Universal Automation” in 1954. 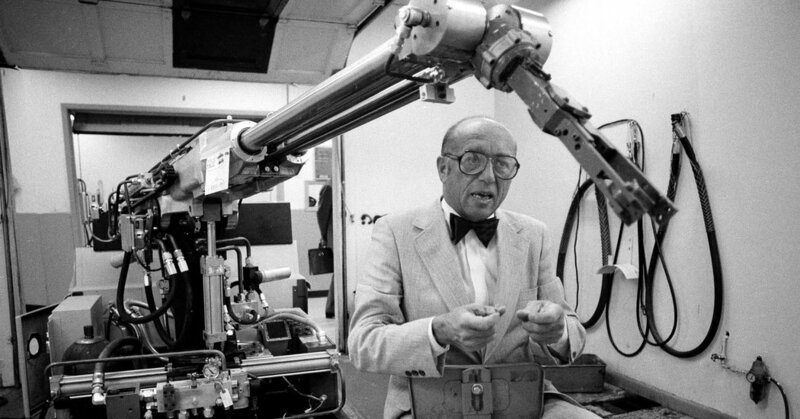 George Devol registered a first patent for robotics in 1954 and was granted in 1961. 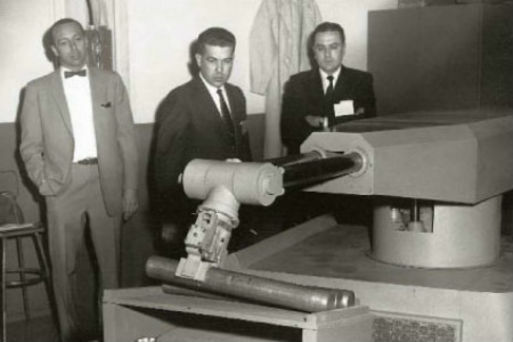 Unimation was the first company to develop a robot in 1956, and the first robot was called as ‘UNIMATE’ which was based on Devol’s original patent. Unimation robots were also known as programmable pick and place machine. It was mainly used for transferring objects from one place to another, which was less than a dozen feet or so apart. This robot was equipped with hydraulic actuators and programmed with joint coordinates. In join coordinates, angles of each joints will be saved during the training phase and replayed in operation. It was highly accurate within the range of 1/10000 of an inch. Later, Kawasaki Heavy Industries and GKN got the license of manufacturing UNIMATE robots in Japan and England respectively. Till 1970’s, Cincinnati Milacron Inc of Ohio was only competitor for Unimation and this drastically changed after several big Japanese companies started to produce similar robots.